On occasion people are all, "Hey, ZWR, your bolg is so funny! "- which is nice. And I'm all, "thanks". Then we're both all, "So... uhhh... yeah". The resourceful often ask follow-up questions, like if I post on Saturday nights after drinking eleventeen jiggers of gin or who my favorite CSN Philly personality is. Yes, and, without question, Sarah Baicker. The hockey chick? Yup. Why? 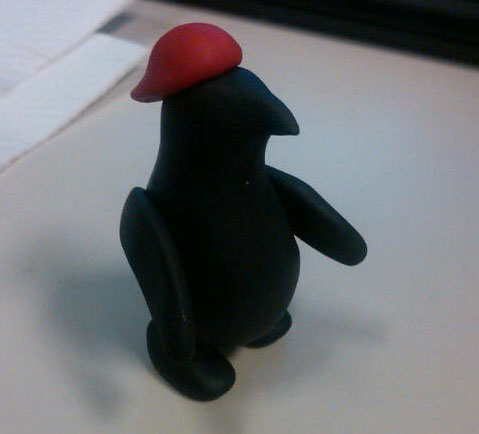 Two words: CLAY HARRY THE PENGUIN!